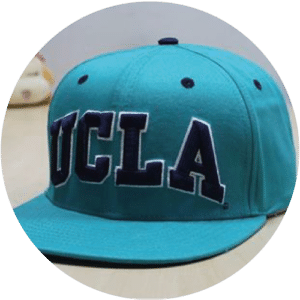 We produced this 6 panels baseball cap for the university of California, UCLA. 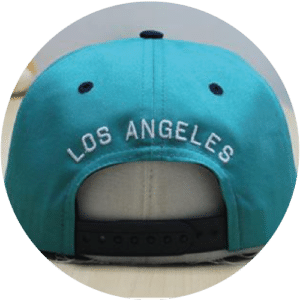 Made entirely of our premium stock cotton twill, it features a standard plastic snapback closure. What makes it unique is it’s color along with a large and bold mixed embroidery on the front. A large dark royal 3D embroidery was placed on the front, featuring a thinner white outline. This embroidery matches very well with the eyelets, button, as well as the closure. 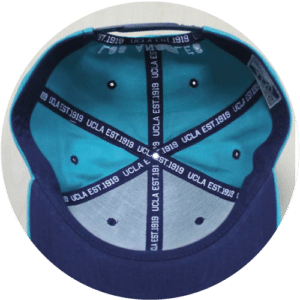 At the back, a curved flat white matte embroidery was placed right above the opening. Regarding the inside, the under visor matches with the blue as well, same thing goes for the printed tapping. Last but not least, a premium woven label was sewn on the sweatband. The University of California in Los Angeles is a one of the world’s leading university in research and education. 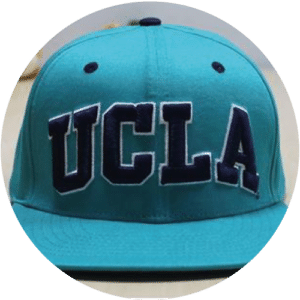 It’s the largest in California but it’s reputation goes way beyond the US as UCLA is renowned worldwide.